Here's a chance to find out how much you and others know about the world of genealogy. We'll look at DNA, resources, databases, Internet sites, terms, organizations and special secrets about the hobby we all love so much. Bob Allen received a B.A. in political science and an M.B.A. from the University of Kansas. He then graduated from the University of Texas Law School in Austin. He held positions with Container Corporation of America and Baxter Healthcare. Bob has been conducting genealogical research for 30+ years. He is the co-leader for CAGGNI's Colonial America SIG and recently served as treasurer of CAGGNI. Church records provide surprising information, not just baptisms, marriages and deaths. They provide clues to much more, including town or origin and immigration information, how active families were in their church, and their financial situation. Church records predate government records, and often provide information on under represented people: women, minorities, immigrants and young children. You will learn how to identify your ancestor's place of worship, access surviving records and solve research problems such as maiden names and overeats birthplaces. Come find out what new and exciting information you may find in church records! Jacquie Schattner has been actively researching her family's ancestors since 1996. She volunteered at the local Family History Center for 15 years, teaches genealogy at local high schools and area libraries. She is active in several genealogy societies including CAGGNI. Jacque received her B.S. degree from the University of Illinois. She is a retired school secretary, allowing her free time to pursue new genealogy information. Come learn what you can do during a research trip to Washington, DC. Members who have been planning CAGGNI's next road trip, Sept. 9-13, 2019, will share with you what they've learned about genealogy research in our nation's capital. Note: Monthly Meeting location will be confirmed 90 days in advance. 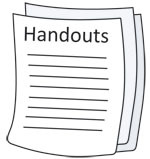 Need a handout from a meeting? so you must log in first. Thinking of testing your DNA? Help support CAGGNI by clicking on the Ancestry.com icon below to get a new DNA kit from Ancestry.com! CAGGNI (The Computer Assisted Genealogy Group of Northern Illinois) is a group of amateur genealogists who are committed to effectively using technology and the internet in support of their research activities. Monthly meeting topics cover a broad range of subjects of interest, including software, tools, techniques and methodologies. Additionally, monthly newsletters, support for computer and genealogy issues and internet surname exposure are among the benefits of membership. A wide variety of genealogy software packages are used by the members as well online trees and database websites. We are also interested in personal websites, digital photography, handheld apps and other ways to share our family histories. For questions about the group, comments and suggestions, contact secretary @ caggni.org. To report problems with the website, contact webmaster @ caggni.org.